While trying to fix your roof without professional help can be tempting if you are on a tight budget, it is always best to hire an experienced roofing contractor to avoid unnecessary expenses in the long run. 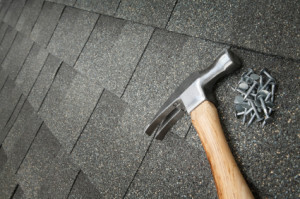 Because roof damages only get worse over time, you can save a lot of money by hiring a local Arlington Heights roofing contractor before a small repair becomes a much bigger and more expensive problem. Leaks, storm damage, signs of wear and tear, deterioration, sagging and weak drainage are all examples of common roofing issues that need to be looked at by a professional contractor. With so many home improvement services available in the Arlington Heights area, looking for the right roofer can be a bit overwhelming. Doing research is the key to narrowing your options down to the best Arlington Heights roofing contractor for your home and budget. 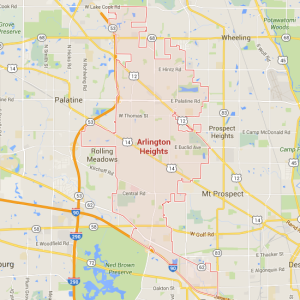 If you know someone who has recently worked with a good Arlington Heights roofing contractor, try asking for a referral. If you are starting from scratch, focus on looking for a business with a good reputation and a proven track record of customer satisfaction. You can usually find reviews for local roofing companies on the Internet. If none are available, go to the company’s website to check for customer testimonials or ask for references over the phone. In addition to checking the company’s background, make sure that the Arlington Heights roofing contractor you hire is properly licensed and insured. If an accident happens while the contractor is working at your home, the company should be able to cover it so that you are not the one who gets stuck with paying for the contractor’s medical bills. When your contractor arrives, sign a written contract that includes the project’s price and timeline. Read over every page of the contract to see if you have any questions about the company’s terms of service. If any materials are involved, remember to discuss their price ahead of time. Material costs can add a lot of money to the price you are already paying for labor, so you want to discuss them before the work gets started. 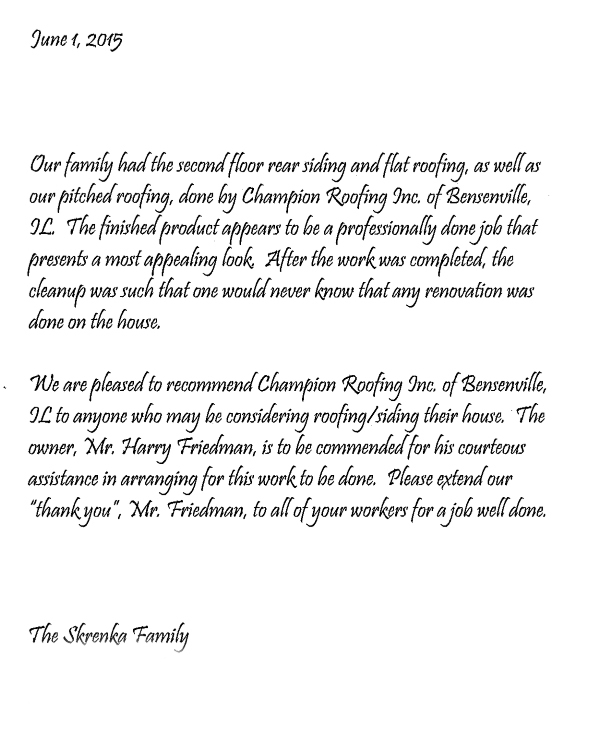 Contact Champion Roofing, Inc., an Arlington Heights roofing contractor, if you want the best service possible.